The end of consultancy as we know it? 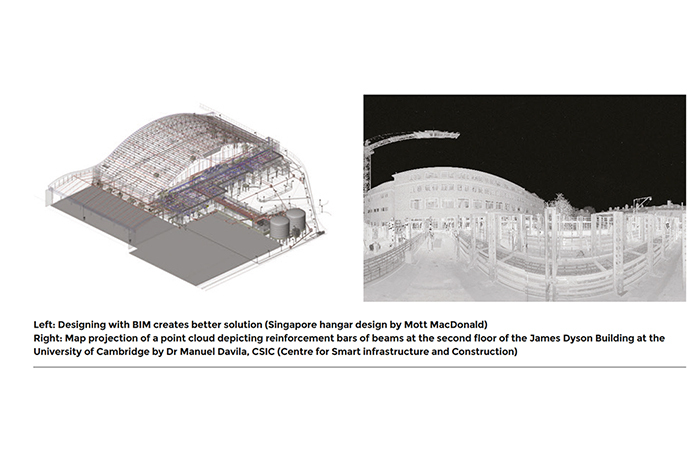 BIM is being seen as the beginning of a digital revolution that will have a profound effect on how consultants do business allied with the impact of big data, digital infrastructure models and the collaboration opportunities provided by cloud computing? What is the technology challenge for consultants and how will they have to change to meet it? Infrastructure Intelligence and BST Global brought together a group to find out. Jackie Whitelaw reports. In the end it wasn’t the technology that the 12 people at the Infrastructure Intelligence and BST Global round table event debated in our discussion about the digital infrastructure revolution. It was how business culture had to change to meet the opportunities and upheavals that new technology is bringing. And that ranged from how businesses worked, what they did, who they employed and how their culture had to adapt to suit. There was a general view around the table that people were nervous about the changes ahead, mostly because they couldn’t really define what they would be, but also they were excited by the potential opportunities and the chance that more will be demanded of an engineer’s intellect in the future. He introduced the idea to the discussion of a tank for a water plant that with development of BIM and libraries of standard products could be designed more cheaply in China than an as a bespoke option in the UK. “In fact, why design anything here?” he asked. Everyone was using technology to spread work around their offices. BWB managing director Steve Wooler explained that that option allowed his company to open an office in London which has transformed the company, with the capital now providing 25% of the consutant’s income. “But we are keeping the London office small necessarily because of the cost of space and ‘north shoring’ the work to out offices in the Midlands and the North,” he said. The culture of offices was also changing with the advent of more technology and the company bosses present were detecting a clash between structural and environmental types who wanted to work outside the office in cafes using their own computers and picking their own hours, and a civils culture that preferred people stuck to their desks. All realised that their HR and management processes would have to adapt to keep staff, particularly the new, tech savvy staff, happy. They had also noticed that it meant they didn’t need quite so much office space as in the old days. It’s all about horses for courses and not established procedures. And he highlighted that in future consultancy will be competing with high salary paying hedge funds for the graduates that can do the predictive analysis necessary to make sense of big data. “You have to make your companies attractive to them so think about what they want,” he said. •Rapidly falling processing costs, while the cloud and accessibility rise. The Cloud will be the foundation of the Internet of the future. Web 3.0 will see everything connected, anywhere and all the time, over the Cloud. Not just computers, but also refrigerators, clothing, and cars will carry IP addresses. This is also known as the “Semantic Web.” And according to Murray State University, researchers are trying to teach computers to know what we mean when we search, not just which keywords we type. The consumerisation of technology has taken shape and is dictating what the business technology landscape will be.It is estimated that 1 in 8 people will have a tablet in their hands by 2017. What is certain is that the world will witness unprecedented changes and opportunities in the years ahead leading up to 2020 and beyond. You can read the full article on www.infrastructure-intelligence.com or in the July-August 2014 edition of the magazine available free on the II website by clicking the magazine button.